As the Peter Brett study showed, there will be many more opportunities for deculverting if the ramps for the Abbey Way flyover are removed. 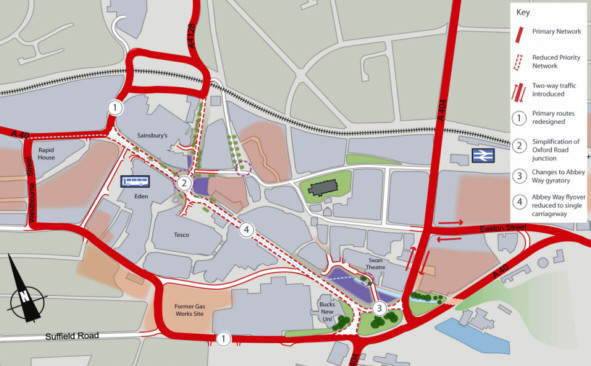 That all depends on whether the Alternative Route around the Town Centre is a success. So far, the Alternative Route has only meant continuous roadworks to be endured by the people of the town. But once Inland Homes have completed the link through the old gasworks (to be known as Suffield Hill), we shall all realise that it is really the smart way to get from Marlow Hill to the West Wycombe Road. Go anywhere else in England – Reading, Sheffield, Bristol, Birmingham – and you will find there is not a town in our country with a river or canal running through its heart that does not realise it has a real asset. But in High Wycombe we buried ours! High Wycombe needs to join the others and become a historic “river town”. After all, the River Wye is the reason why High Wycombe is here in the first place. 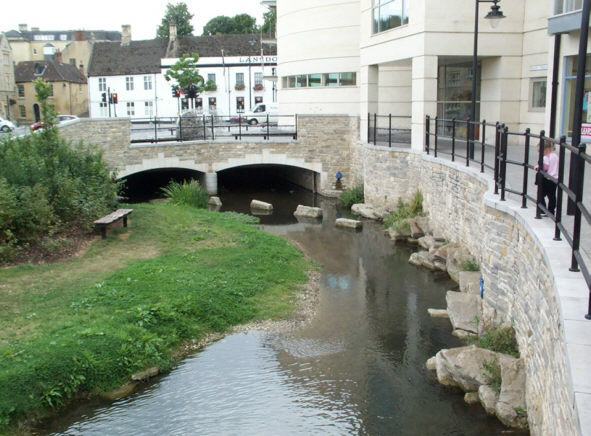 And if you worry that our River Wye is not as big as the Kennet in Reading — not really big enough to make a difference — try visiting the historic town of Calne in Wiltshire, where the little River Marden, a tributary of the Thames and much the same size as our Wye, creates a beautiful town centre setting.